Ridgefield, WA is about a 15 minute drive North of Portland- and is usually out of our service area. 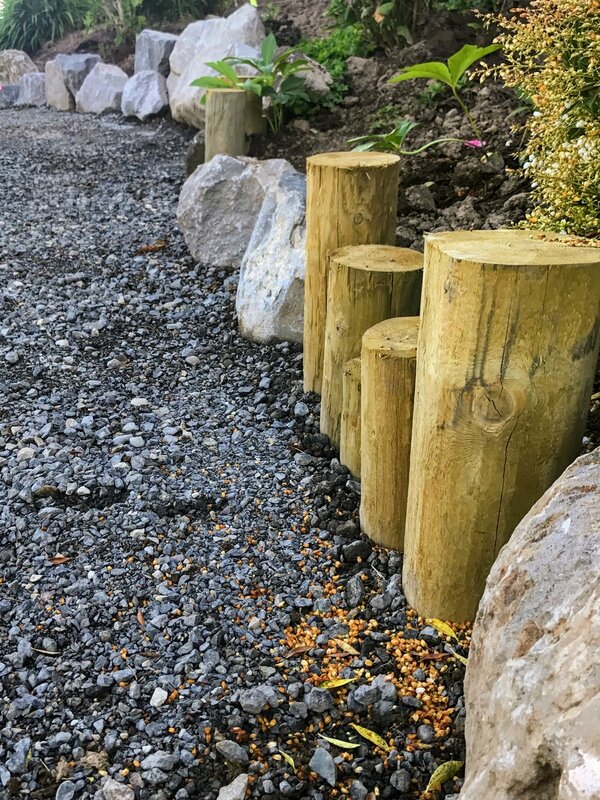 But when the right designer with the right clients approached us about a large Japanese garden project we couldn't say no. We have created a large dry creek and pond, set over 300(!) tons of boulders, and installed hundreds of plants. Some of the trees are larger (and more expensive) than my car. There are also stone walkways, a patio, fire pit, gate columns and a mailbox. The large irrigation system was renovated and expanded. A low voltage lighting landscape lighting system with brass fixtures will be installed this next week. As we finish up over the next two weeks I will take and post more pictures, but here are a few to get you started. Accent plantings being installed near the dry creek and pond. Viewing pad is oriented towards Mt. St. Helens. Large scale plantings from the driveway towards the meadow. 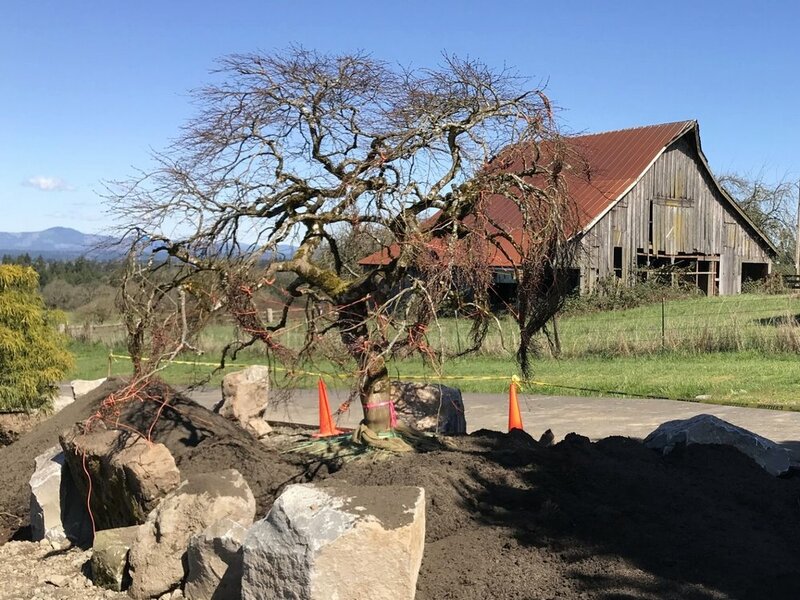 Specimen Japanese maple from Patterson Tree Farm. Japanese pine, laceleaf maple, and dogwood. Japanese pine tree from Bentwood Tree Farm. Stone masonry pillar for future gate. Masonry mailbox made with local basalt. One of the many peonies blooming on the project right now. Stone NW supplied boulders and building stone. Ewing Irrigation supplied irrigation materials. Lighting products came from AMP. Large trees are courtesy Patterson Nursery and Bentwood Tree Farm. Other plant material is from R&M Plant Procurement and Chehalem Mountain Nursery. Contact Ross NW Watergardens to discuss your landscape project. Follow us on Google to get our news about offers, projects, and new services.